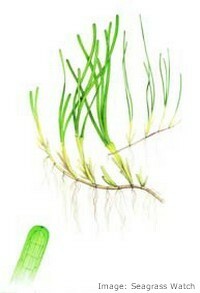 Seagrasses are 3 separate groups of flowering plants that have adapted to life under the sea. Although many look like grasses, they are most closely related to lilies. 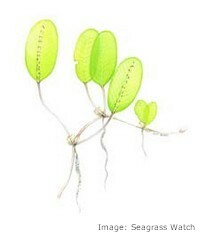 Like land plants, they have roots, stems, leaves, flowers and seeds. 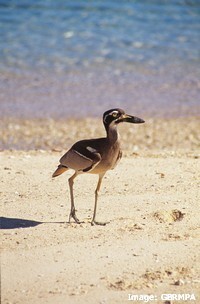 Globally there are around 60 species and Australia is home to 30 of these. Drag and zoom on the map below to explore the location of our seagrass beds. To survive, all seagrasses need is clean water, sunlight and sand or mud to grow in, but life between land and sea isn't easy. Conditions change from being underwater, to being exposed to hot sun and drying wind, within just one tidal cycle. Seagrasses can cope with a wide range of salinities and exposure to air at low tide, and they can live anywhere from the intertidal zone down to depths of about 50-60 metres. The water needs to be clear enough to allow light to reach the seagrass so that it can grow. Temperatures over 40 degrees Celsius, even for a short time, cause irreversible damage to seagrass and below 6 degrees Celcius is too cold for it to survive. Like all plants, seagrasses need a source of inorganic carbon, and the nutrients nitrogen and phosphorus for growth. They depend on water currents to bring them the nutrients they need and to pollinate their flowers. 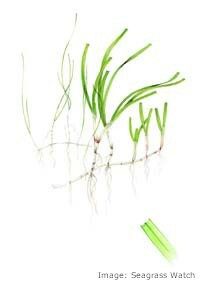 Seagrasses form meadows by growing networks of underground stems called rhizomes. 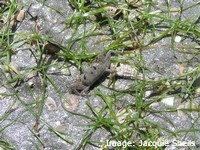 Seagrass meadows can cover large areas of seabed and can be a mixture of different species. They stabilise the sediment and their roots add oxygen to it, supporting a diversity of micro-organisms. 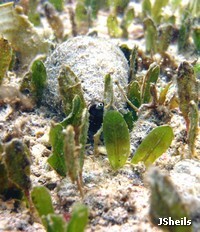 The leaves and rhizomes of seagrasses are home to many marine micro-organisms and invertebrates, sheltering the juveniles of many larger marine species, supporting nearly 100 fish species and feeding larger animals such as dugongs and turtles. Seagrass meadows are nurseries for commercial prawn and fish species and vital feeding areas for migratory wading birds and endangered marine species such as dugongs and green turtles. 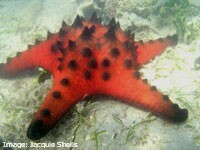 They are amongst the world’s most productive habitats, supplying food chains that support fisheries productivity. Although tropical seagrass meadows often have low densities of seagrass, they grow quickly, producing food for other species. The rhizomes of Halophila ovalis have been measured growing at more than 5m per year. In northern Australia an entire seagrass meadow can completely regrow all of its leaves in around 10 days! Mangroves, seagrasses and salt-marshes often occur together and research has found that these habitats are closely inter-connected, each depending on the other and being used by the same species at different stages of the tide. Seagrass leaves slow down water movement, trapping sediment and debris and improving water quality. Seagrasses use nutrients in coastal waters and sunlight to fix carbon as they grow, releasing oxygen. One square metre of seagrass produces about 10 litres of oxygen each day. 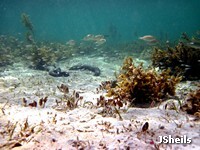 Seagrass meadows also store large amounts of carbon, buried in the sediment. They are important carbon sinks due to their high productivity, their efficiency in trapping carbon that comes from outside sources, and their ability to store it for long periods, possibly thousands of years. One square metre of seagrass can store up to 33 grams of carbon every year, equal to a car’s emissions over 2500kms. Twelve seagrass species are found in the Whitsunday Region, in more than 177 separate seagrass meadows that cover over 55.53 km2 in area. They grow mostly in protected bays on shallow or intertidal banks between 0.05m and 15m depth; the majority of seagrass meadows in the area are along the coast and in estuaries. 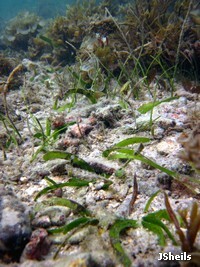 Surveys in the 1980s and 1990s found that the largest seagrass meadows in the region were along the north-west coast of Whitsunday Island and off Whitehaven Beach. 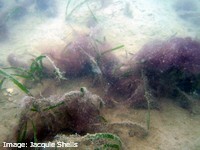 The northern mainland coast and northern and southern Repulse Bay meadows have the highest densities of seagrass. In clearer waters off Whitehaven Beach, seagrass grows down to depths of 15m, but closer to the mainland, where the water is murkier, they are limited to 11m or shallower. There are very few deep-water seagrass meadows in the region, probably because of the large tidal range which produces strong currents and murky water, reducing the amount of light available for seagrass growth. The most diverse seagrass meadows are in the north of the region, with 9 species found between Dingo Beach and Bluff Point. The most common species in the region is Halodule uninervis which dominates over 70% of meadows in the region. 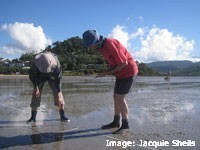 Baseline surveys of seagrasses in the Whitsunday region began in 1988. Monitoring since then has not shown any distinct changes in the amount or type of seagrass in the region, but major changes in land use and water quality before that time mean that it is likely that there were important changes in seagrass cover before the surveys began. Tropical seagrass meadows naturally fluctuate in size and density over time, as they are affected by changes in seasons, rainfall and storm events. This variation makes it important to look at seagrass distribution over the long term rather than individual ‘snapshots’ at one particular time. Tropical seagrasses have seeds that can survive for long periods in the sediment and act as a ‘seed bank’ which allows meadows to regenerate after major storm events. This can take 3 years or more after major disturbances. The number, extent and diversity of seagrass meadows in the Whitsunday region makes the area an important food resource and habitat for green sea turtles (Chelonia mydas) and dugongs (Dugong dugon), which feed on seagrass. 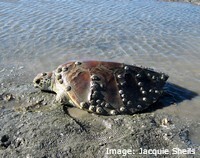 Flatback turtles (Natator depressus) also feed on animals that live in seagrass meadows. 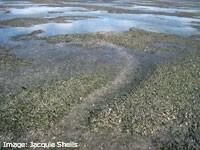 Seagrass meadows in the Whitsunday region contain large areas of Halodule uninervis, Halophila species and Zostera Capricorni, which are the preferred food of dugongs. 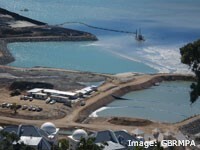 Along the mainland coast, Dugongs and turtles feed in Pioneer Bay, Shute Harbour, around Cow and Calf Islands, north eastern Repulse Bay, Laguna Quays, and around Midgeton. Around the islands, dugongs and green turtles are known to feed in the seagrass meadows north of Cid Harbour and off Whitehaven Beach.Aerial surveys of the region in the 1990s found that dugong numbers were increasing, indicating the area’s importance to this species. The wide depth range of seagrass meadows in the region make it a valuable food resource because the animals can feed at all stages of the tide. The Whitsunday Islands and nearby coast have numerous seagrass meadows, with protection from various different wind directions, increasing the chance of survival of patches of seagrass after major storm events. The productivity of seagrass beds supports a diversity and abundance of invertebrates that makes them an important feeding area for resident and migratory shorebirds. Migratory shorebirds particularly depend on healthy seagrass habitats to fuel up for their long journeys across the world. Support local programs to monitor and protect mangrove habitat, such as Seagrass Watch. Take care when boating in seagrass habitats: lift your outboard motor in shallow water and avoid digging up seagrass with your propellor. 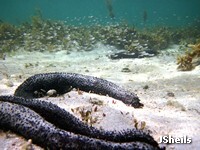 When anchoring avoid dragging, which will damage the seagrass bed. Avoid unnecessary disturbance and trampling of seagrass meadows.